We printed these cards with three inks per side on thick 600g Fluorescent White stock for fellow Portlanders A to Be Partners. Designed by Allison of Allison Arno Design. 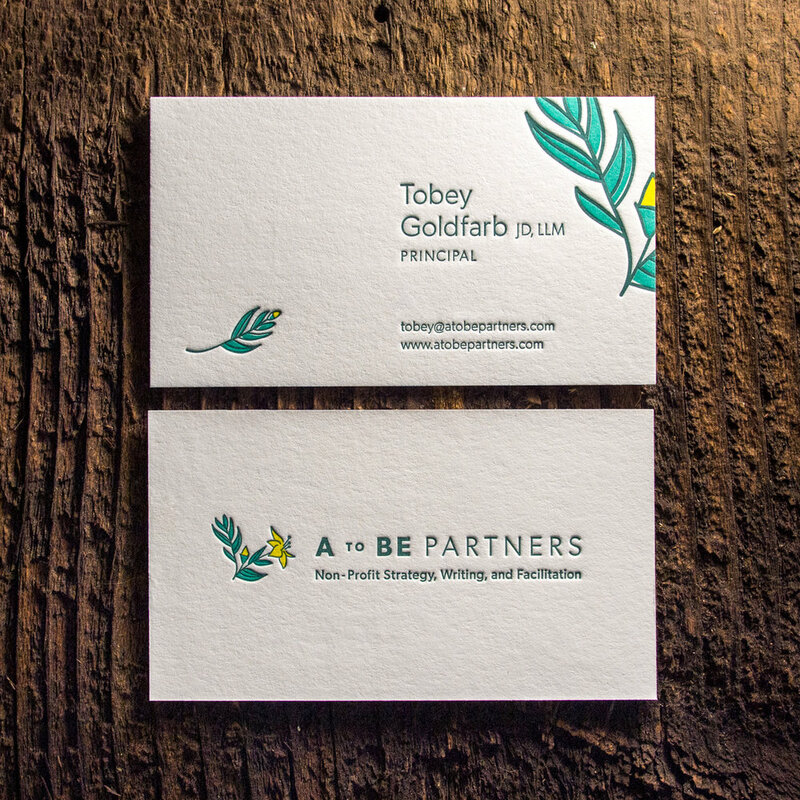 Posted in business cards and tagged with fluorescent white, green, yellow, 600g, Portland. January 24, 2017 by Travis Friedrich.